Bolloré Logistics Japan has been successfully certified by the International Air Transport Association as a Centre of Excellence for Independent Validators in Pharmaceutical Logistics at its platform located at Kansai International airport, in Osaka. The certification is a globally recognised and standardised certification for healthcare airfreight shipments. Bolloré Logistics Japan began the certification process according to the IATA CEIV Pharma standards in the second quarter of 2017. 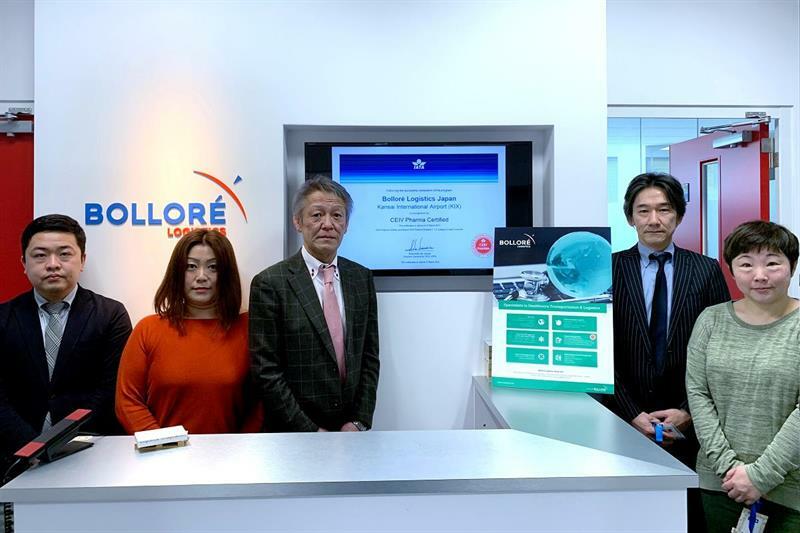 This CEIV Pharma certification will allow Bolloré Logistics Japan to have a strategic advantage in the healthcare logistics market with a stronger, more competitive and enhanced air cargo service. “Earning the CEIV Pharma certification demonstrates our ability to successfully build and deploy a team of experts who are fully capable to offer end-to-end logistics solution for the pharmaceutical related temperature sensitive products through Kansai International airport. In the near future, we are also keen to acquire the same certification in Haneda airport in order for us to expand the expertise nationwide,” commented Goro Umezawa, Sales Manager at Bolloré Logistics Japan.